John Douglas Young was born in 1842 at Hamilton, Lanarkshire, Scotland, the son of William Young and his wife Helen, nee Wilson. On 27 March 1869, he married a widow Margaret O’Brien, nee Kelly, at a Presbyterian church in Sydney. He died on 16 November 1893 at his Dowling Street residence, Moore Park, survived by his widow and son. He was buried at Waverley Cemetery with Catholic rites. John Douglas Young was apprenticed as an engineer at the age of 13 and went to sea at 15, serving with the Royal Navy in China during the 1859-60 Taiping Rebellion. He arrived in Sydney in 1865 and worked at the gasworks before becoming a hotel licensee about 1869. In 1870, he and his family were living in George Street. In 1877 he held the license for the Three Crowns Hotel at 6 Charlotte Place, Church Hill, and in 1885 he was the publican of the Royal Exchange on the corner of George and King Streets. He held the license for the latter hotel, renamed the Hotel de France, until his death in 1893. His sporting interests included horse racing and athletic and aquatic sports. For four years Young was the representative of the cab and van licensees on the Metropolitan Transit Commission. 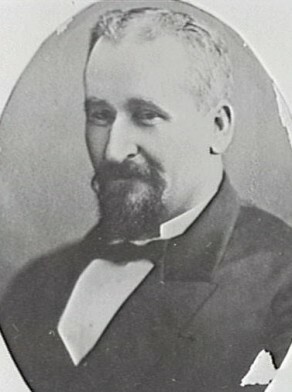 John Douglas Young was elected to the Legislative Assembly for West Sydney from 16 October 1885 until 26 January 1887. He was appointed a member of the Legislative Council on 30 August 1892 until his death in November 1893. John Douglas Young was elected Alderman of the Sydney City Council for Gipps Ward from 1 December 1879 to 16 November 1893. He was the foundation City member on the Board of Water Supply and Sewerage, 1888-93.